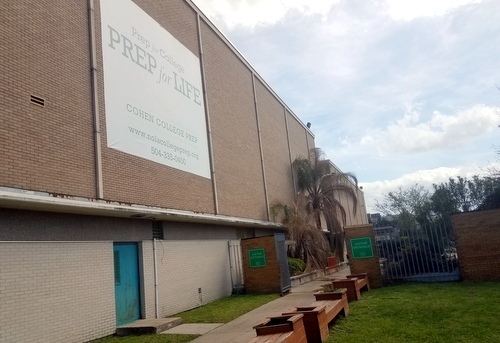 The New Orleans College Prep administration had budgeted for 930 students this year, 560 at Crocker and 370 at Cohen. Instead, both schools missed that target by about 20 students, costing the network nearly $450,000 in state per-pupil funding this year. The drop in enrollment was unexpected at both schools, said CEO Jonathan Tebeleff. Cohen usually receives many of its students — 50 or 60 per year — during the summertime “late enrollment period,” but this year has only enrolled six during that time. Meanwhile, Crocker has usually been fully enrolled this year — but this year is one of 35 schools across the city with vacancies in the second grade. “That’s part of why the timing of this was late, is because we’ve traditionally gotten students at this point,” Tebeleff told a crowded auditorium of parents, teachers and students at the board’s Sept. 24 meeting. The school is looking for savings anywhere it can, opting not to fill several open positions and looking for savings on the bus routes, Tebeleff said. Ultimately, however, seven non-teaching staff members were laid off. Michelle Gasper, a parent, told the board that the staff members are what drew her to bring her children to College Prep schools, and urged the board to do anything it can to raise enrollment and rebuild the staff. Satoriya Lambert, an 11th-grade student at Cohen, said she has been without a consistent teacher for Algebra 2 since the beginning of the school year. Keyinate Gibson, another Cohen student, said the subsitutes sometimes have to ask the students for help with the day’s work. Audrey Johnson, a preschool teacher at Crocker, spoke on behalf of a social worker at Crocker who was among the layoffs. The social worker was an early champion of trauma-informed education at Crocker that is now a model across the city, as well as secured thousands of dollars in grant funding for the effort. The other teachers at Crocker said they would have gladly taken a pay cut to keep the social worker on staff, Johnson told the board. School officials outlined a number of steps they are taking to improve communications with families, such as creating new parent-teacher organizations and student-advisory committees at each school. 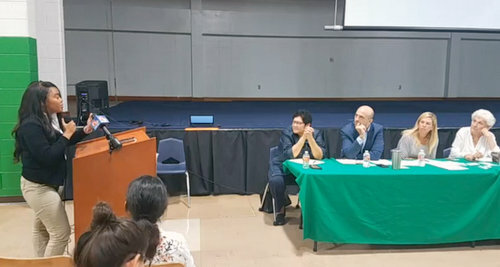 The board members took no action following the public comment, but did express support for the decisions made by CEO Joel Castro and the administration.